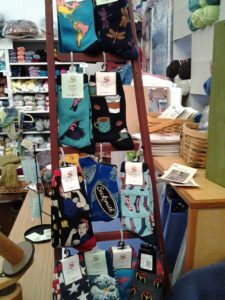 Fun, Funky Socks at great prices! Nice variety of playful, comfortable socks that make a statement of their own. Prices range from $6.50 to $10.00.